The National Honor Society is a nationally recognized organization that honors students not just for scholarship, but also for character, leadership, and service. Once accepted into the honor society, a student must maintain a 3.75 cumulative grade average and perform a minimum of twenty hours of community service. The student must also maintain good character qualities. At the end of the school year, all students going into the 10th through 12th grades with a cumulative average of 3.75 or above, who are not already members of NHS, will be invited to apply for membership. Once the deadline has passed, an Honor Society council made up of CCS teachers and/or coaches will review the applications to determine who will be admitted. The NHS advisor, currently Mrs. Stephens, will notify applicants by letter if they were accepted or not. The council reviews the applications, looking at leadership positions, community service hours, and character, which includes behavior at school, attitude, etc. Some determining factors are whether the student is involved in activities beyond just the usual school and church activities, and whether the student is involved in any kind of ongoing service that they are committed to on a regular basis. Once admitted into the NHS, the students must maintain their 3.75 cumulative average, stay in good standing as far as character and attitude are concerned, and perform a minimum of twenty hours of community service. Should a student no longer meet one of these requirements, the bylaws provide for the measures and steps to be taken. A student can be put on probation for a period of time or be dismissed from the NHS. Throughout the school year, the NHS will perform service activities for the school and the community. Last year, we had a "Hired Hand Auction" in which the students raised money for CCS scholarships. We also started a card ministry, in which we send cards to CCS families who could use some encouragement in difficult times. This year, the students hope to collect items for the USO for American soldiers and continue the card ministry and auction. 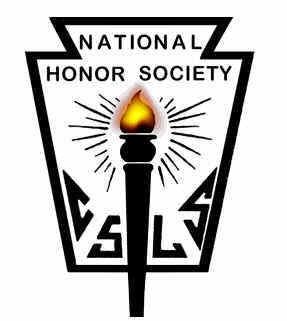 Click here to view National Honor Society CCS Chapter By-Laws. Please contact Mrs. Julie Elliott for more information.